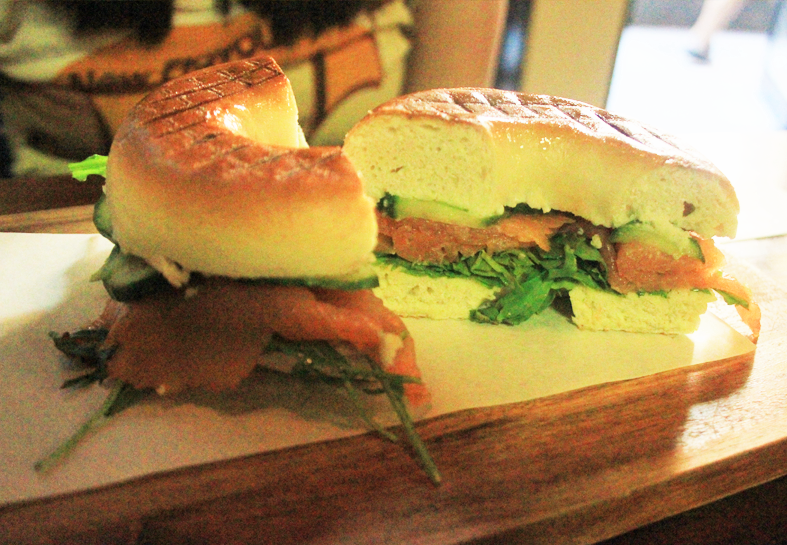 I love cafes that are elusive. They shy away from the main streets, and they only reveal themselves if you dare to venture deeper into the alleys. 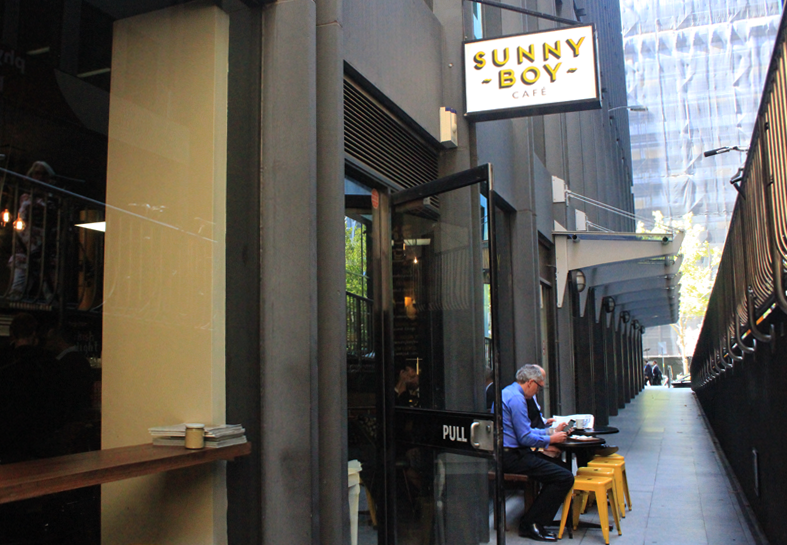 I wouldn't exchange the thrill of finding a cafe while trying my luck in a laneway for anything in the world... maybe for a good cuppa. 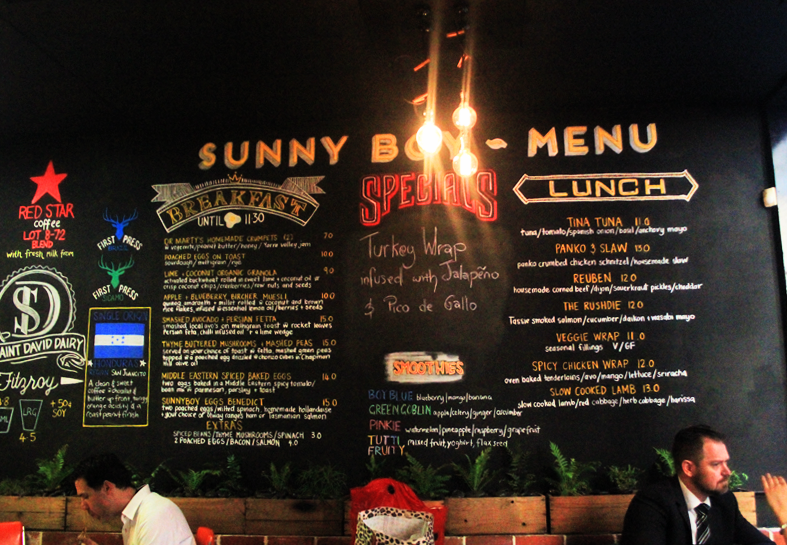 Sunny Boy Cafe is definitely a locals' favourite. Panko & Slaw (AUD13) and The Rushdie (AUD12) were brunch picks for the day before we set off for our beach fix. 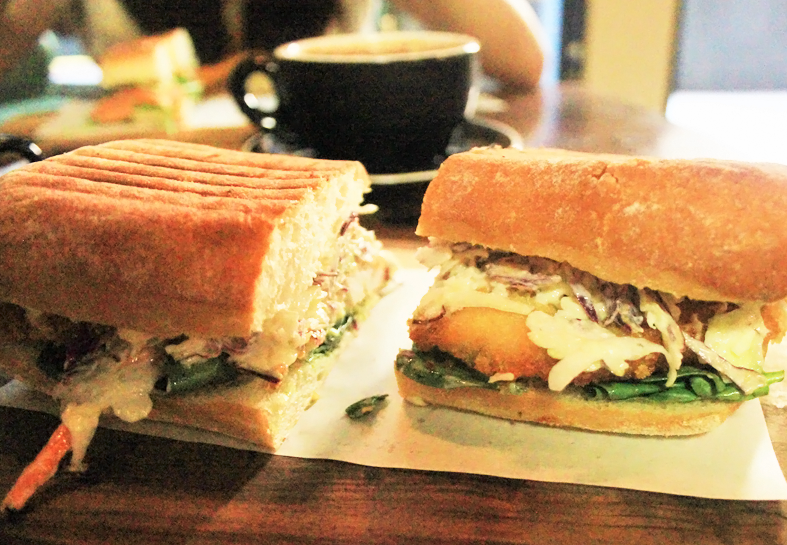 The Panko & Slaw involved some scrumptious panko crumbed chicken schnitzel and housemade slaw. It looked tiny but I could only finish half of it with my best effort. It was teetering on the edge of being too heavy. 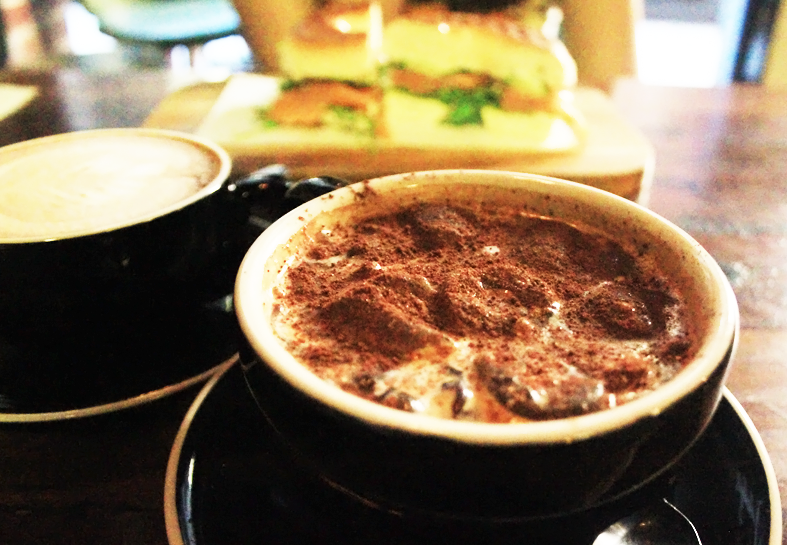 I would not recommend this, but the coffee experience was lovely and an instant pick-me-up. I didn't try the rest of the menu so I can't tell you with certainty if it's good or not, but definitely not the Panko & Slaw.